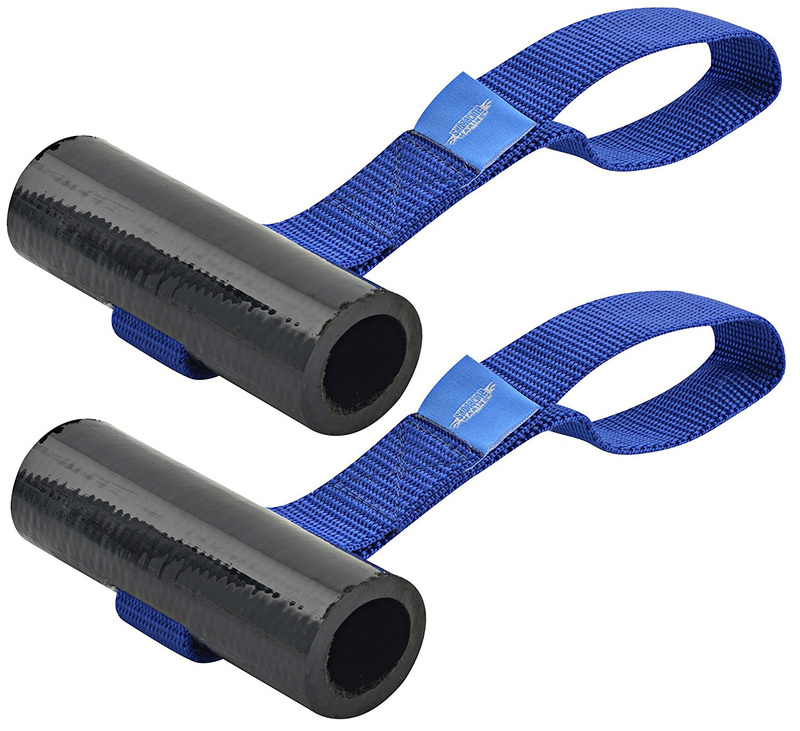 Michael S from BC came up with a good idea for securing stuff, seats or thigh straps to the floor of your IK without resorting to gluing on expensive D-rings – something that takes application and the right glue to do well. He suggests the cavity formed between the floor and the sides when you pump an IK up can be used to jam in short tubes attached to tape loops. Example left is a Sea Eagle DS, but I know the Gumotei and other IKs I’ve owned form a similar space along the sides. 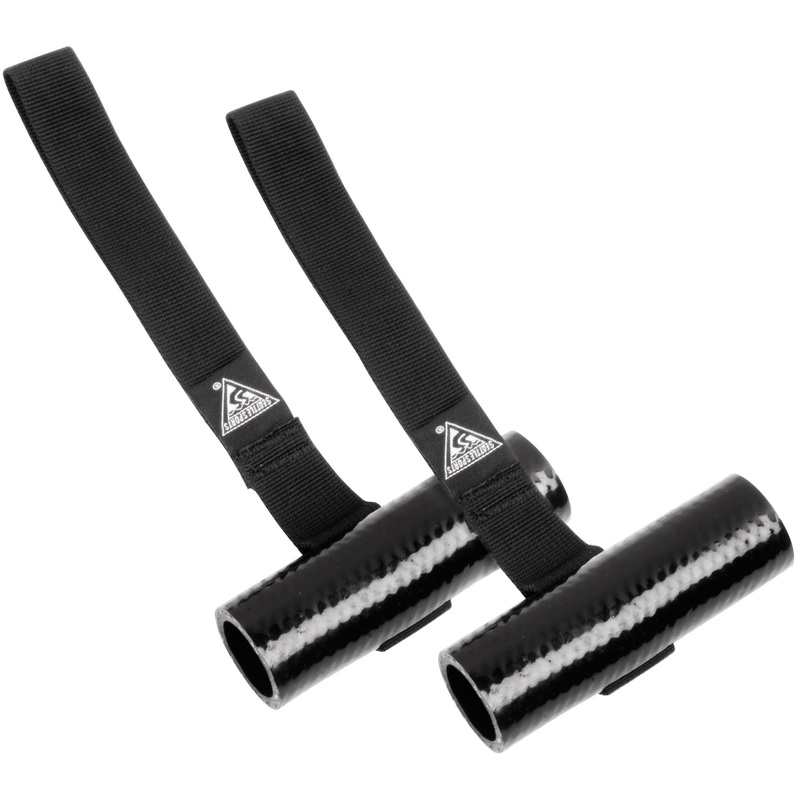 Pictured below are some Sherpak Quick Loop tie-downs which go from less than $10 a pair on amazon US. You can buy Thule ones too for six times as much. 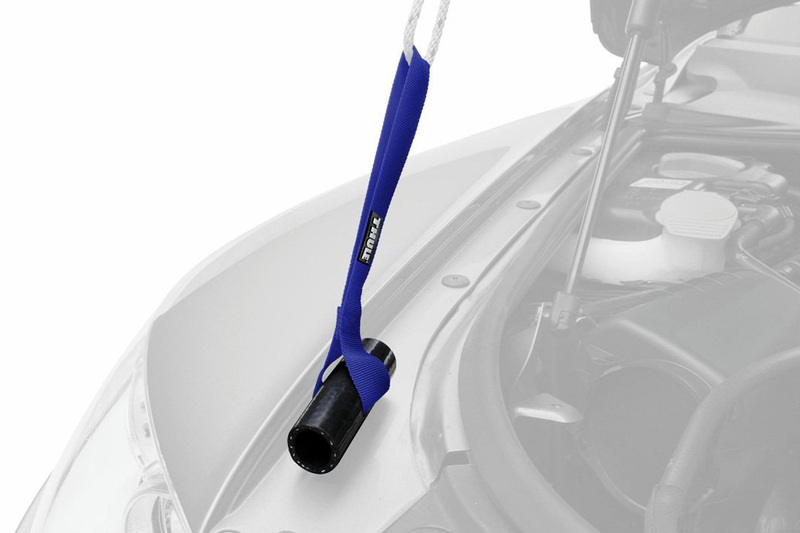 The idea is you shut them in under your car’s bonnet, tailgate or doors (right) to help lash on stuff including boats. 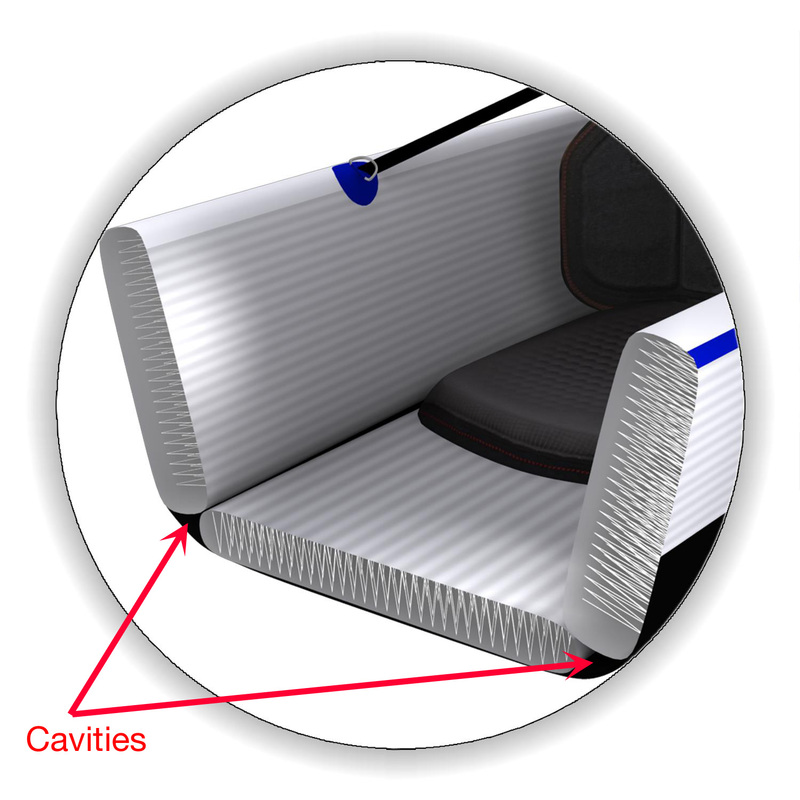 But they could also be lodged in an IK’s floor/side cavities as you pump up, and of course can be positioned anywhere and slid forward or back. It’s possible the 1-inch diametre tubes shown may be too big, so make your own using smaller conduit from a hardware store, or just a shore-side stick and washed up rope. Neato mosquito as my Kiwi mate used to say. 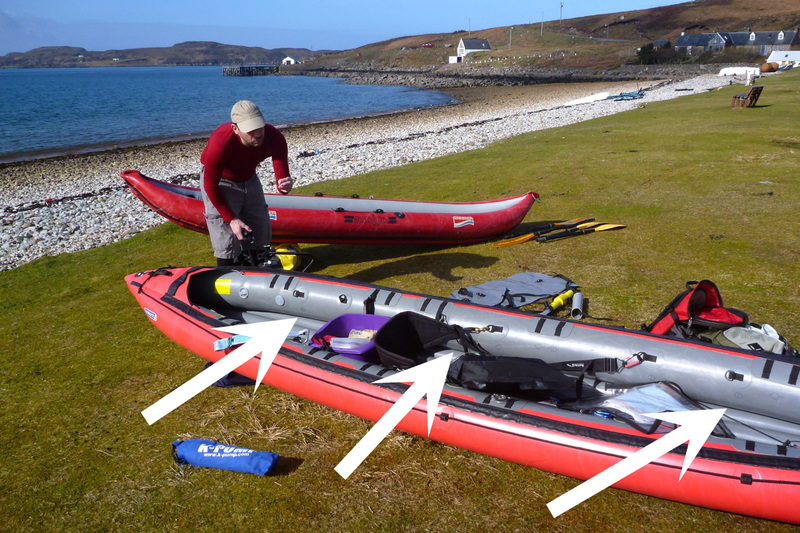 This entry was posted in Gear, Inflatable Kayaks, Tech and tagged D-rings, lashing points ., tie downs. Bookmark the permalink.